The K-12 Initiative is a project of The University of Kansas Medical Center, Office of Cultural Enhancement and Diversity, and Kansas City Kansas Community College serving Kansas City, Kansas Public Schools. KUMC, KCKCC, KCKPS, Kauffman Foundation, Kansas Health Foundation, DST Corps, Health Care Foundation, Verizon, 21st CCLC, Storytellers Inc.
Saturdays during the school year provide students a day to sleep in or a schedule free day. Not Saturday Academy members. Over 190 middle and high school students start their Saturdays riding the bus at 7:30 a.m. to attend the full day Academy enrichment. Students arrive at 9:00 a.m. for a light breakfast and move through science modules, technology, teambuilding activities and original poetry workshops. With 40 staff, college interns and senior mentors, students are engaged in relational instruction by a 1- 8 teacher to student ratio. Wyandotte County, Unified Government Mayor Holland paid a visit to Saturday Science, Math and Technology Academy. Mayor Holland was given a warm welcome by the students and staff as he shared his vision for Academy students in STEM education now and higher education and careers in the future. His caring personality came through in his conversations and observation of science modules. Students asked to have their pictures taken with Mayor Holland who agreed with a smile. Mark Meyer, M.D., University of Kansas School of Medicine, Dean of Students and Associate Dean of OCED, Dr. Edward Kremer, Kansas City, Kansas Community College, Dean of Science, Math and Technology, Scott Lemmon, Academy Native American Liaison and Academy webmaster, Marcia Pomeroy, University of Kansas School of Medicine, OCED Director of the K-12 Initiative and many graduates of the Academy home for the holidays from college and graduate school shared their support of Saturday Academy with Mayor Holland. It was a great day at many levels. Academy Senior Mentors, Kayleen Perkins and Brian Cobbins provided Mayor Holland with a tour of the Academy classes and workshops. Together we are building a future of academic excellence, leadership and social justice. Thank you to the Kauffman Foundation, University of Kansas School of Medicine, Kansas City, Kansas Community College, District #500, KCKPS, Kansas Health Foundation, DST and 21st CCLC and Verizon STEM for their continued support of the K-12 Initiative and Saturday Academy. Photographs taken by Douglas Walker. In 2002, Jarius Jones joined Saturday Academy to help teach math and science to inner city students. At the time Jones joined the program, he was a math teacher at Wyandotte High School. Little did he know that this program would empower his life for the next 13 years and in turn, inspire his children to actively take part in the program to enrich their education. The K-12 Initiative is an initiative of the University of Kansas School of Medicine/ Office of Cultural Enhancement and Diversity (OCED) and Kansas City, Kansas Community College/ Science, Math and Technology Department. Saturday Academy is a foundational program of the K-12 Initiative that creates and integrates math, science, art, health and leadership into teaching modules and workshops. The innovative and relevant teaching and mentoring provides the opportunity for students to apply what they have learned into their daily lives academically and culturally. Each year a select number of students from all over USD #500 participate in the program. When Jones began teaching math in the Academy, there was less than 30 students. He still found value in the program which kept him coming back. “To be able to work with young people who wanted to be in the program, really justified and made teaching relevant. It made me truly enjoy what I do,” said Jones. At Saturday Academy students work together to create projects and complete certain aspects of work in groups which allows them to break the barriers of social judgments, cliques, culture and economic status. “Students work together for a common purpose. Many come from homes lacking education, finance, social structure and others may be considered ‘at-risk’ children. In each student you find out how bright they are and how excited they are about learning,” says Jones. What Jones enjoys the most about Saturday Academy is the team building and planning with the staff. “Everything has evolved since I started 13 years ago, now we have about 200 students. We aren’t afraid of the change, and we get to take ownership of the modules we teach. Of all the years, this year has been the best due to the flow of the modules, says Jones. According to the students making application to the Academy, there is no shortage of kids and instructors. “I hope for the day that every student has the opportunity to be a part of the program. For those interested in funding, your dollars would not be better spent in any other place than here in this program,” says Jones. For Jones, Saturday Academy is much more than a place for teaching. It is also a place to “…mentor and push students towards obtaining higher education. Continuing your education is important because it gives you the best opportunity for success.” Jones has mentored several students from the program on their plans for college education and professional careers. He now has the opportunity to also see four of his children actively participate in the program as well. Jones is a Teacher Leader at F.L. Schlagle High School, and oversees the Team Building Activities group at Saturday Academy. He is currently defending his dissertation on the retention rate of urban teachers and why they remain in urban schools. 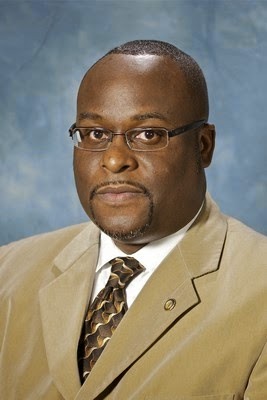 Jones is a member of several different boards in the community and an adjunct at Kansas City Kansas Community College. My name is Juan Banuelas. I graduated from Sumner Academy in 2007. I attended Kansas City Kansas Community College, where I graduated with my Associates in Science in 2009. Lastly in 2013, I graduated from Kansas State University with my Bachelor’s Degree of Science in Civil Engineering. Since the seventh grade, I have been actively involved in KC Initiative K-12 and TRiO Educational Talent. I have a strong passion for both of them because they innovatively have guided me in the right direction to be the young professional and person I am now. For that I will be eternally grateful. During my years with KC Initiative K-12, I have been a student, mentor, college intern, and now instructor for Saturday Academy. I have also been a student, teacher, and counselor for the Summer Science Academy residential program held in Lawrence, KS. Additionally, I have done summer medical internships at various locations in the Kansas City Metro and a full year medical internships at St. Luke’s Hospital- Family Practice. Furthermore, I have been involved in Gardening, Wednesday Media, Poetry Workshops, and tutoring during the afternoons. All of my great experiences with KC Initiative K-12 have led me to be an instructor for Saturday Academy this year, where along with my team; are educating over 190 participants in Respiratory Science. Learning from my superiors and my experiences as a student, I am able to adapt to my teaching styles to accommodate the specific needs of middle school and high school students. I knew what I want as a student and what I expected from the educators. Now, as an educator I know that I want the participants to learn and how they would like to learn the information. 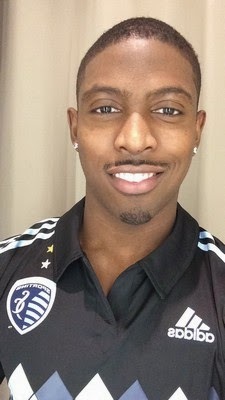 As of 2015, I am a Bridge Structural Engineer I at TranSystems in Kansas City-Downtown, Adjunct Math Instructor for Kansas City Kansas Community College, educator for KC Initiative K-12, and educator for TRiO Educational Talent Search. In addition, I am heavily involved with the American Society of Civil Engineers (ASCE). In addition to my daily responsibilities at TranSystems, I’m an office for Transportation Toastmasters. Toastmasters is a program designed to assist people with public speaking skills in a variety of topics, audiences, improvisation, and time pressure. I’m also a champion for our employee-started program, Project GROW. The program’s mission is to mentor new young professionals that come into the industry and the company, this program also serves to retain employees in the company. Additionally, I form part of the Employee Activity Committee and assistant coordinator for our United Way fundraising campaign. Professionally, I’m an Affiliated Member of the American Society of Civil Engineers. I am a current member of the ASCE Young Members Group, were we perform community service, participate in professional ASCE activities, and network with other members. 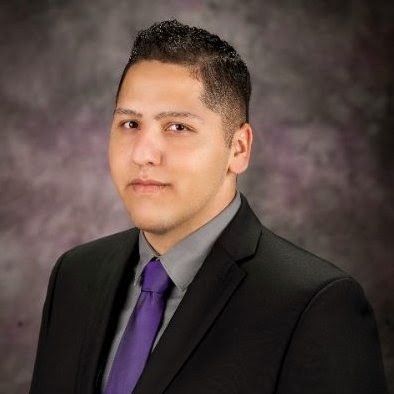 I serve as a Corresponding Member of the Members Community Committee (MCC) where we help expand and increase interaction in each of our professional, college, and young members chapater. Furthermore, I am also a member of the Committee on Pre-College Outreach (CPO) where we provide sources and generate events and activities to middle school and high school students to interest them in college and particularly civil engineering or related fields. With this experience I am working towards opening and coordinate my own Civil Engineering club in Kansas City and branch out to Johnson County. Working with KC Initiative and TRiO has inspired me and motivated me to continue working with the community and outreach to young students. 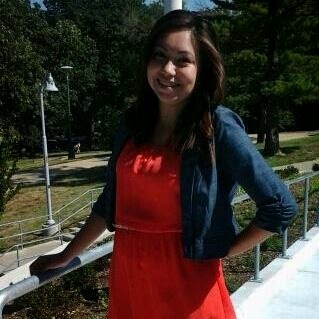 My name is Ramona Cacho, I am currently a junior at UMKC as an elementary education major and am in the Institute for Urban Education. I have been with Saturday Academy since I was in the seventh grade, I graduated from Sumner Academy in May of 2012. I have three sisters, one niece and have two cats. My father is firefighter for the Kansas City, Kansas fire department and my mother works for the Environmental Protection Agency. Parent-Community Breakfast/Demonstration Day at Saturday Academy - February 21, 2015. 9am to 11am at the Kansas City Kansas Community College. 7250 State Avenue, Kansas City, KS 66112. Last fall two members of our Tech Team were flown out to Silicon Valley to showcase the amazing things that the Saturday Academy is doing with the use of Google tools to create student e-portfolios. Scott Lemmon and Dr. Cynthia Annett spent a week at the Google Geo for Good Summit in Mountain View to share our work with non-profit groups from around the world. We were excited to learn that our websites have been viewed by people in over 100 countries, and that the poetry, art, and science projects that our students have posted have touched and inspired people far beyond the borders of our community. "Visiting Google allowed Dr. Cynthia and I to learn about the latest Google tools and the next generation on the horizon. The one thing that Saturday Academy and Google have in common is innovation. Both organizations are using the latest tools and inventing new ways to excel in their respective categories. After training with Google and having an opportunity to work with non-profits around the world, we are able to bring our knowledge back to Saturday Academy and the K-12 Initiative. We are now enabled to implement some of the next generation of Google applications into the various programs in Kansas City. In the process of invention, we then are reaching out to the engineers at Google to share our ideas and take Saturday Academy to new levels. Google and Saturday Academy have become leaders in innovation" states Scott Lemmon. 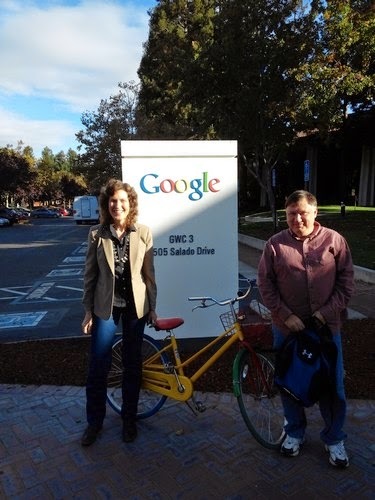 Scott and Dr. Cynthia learned a lot at the Googleplex, and are bringing back what they learned to help our students create ever more awesome projects! 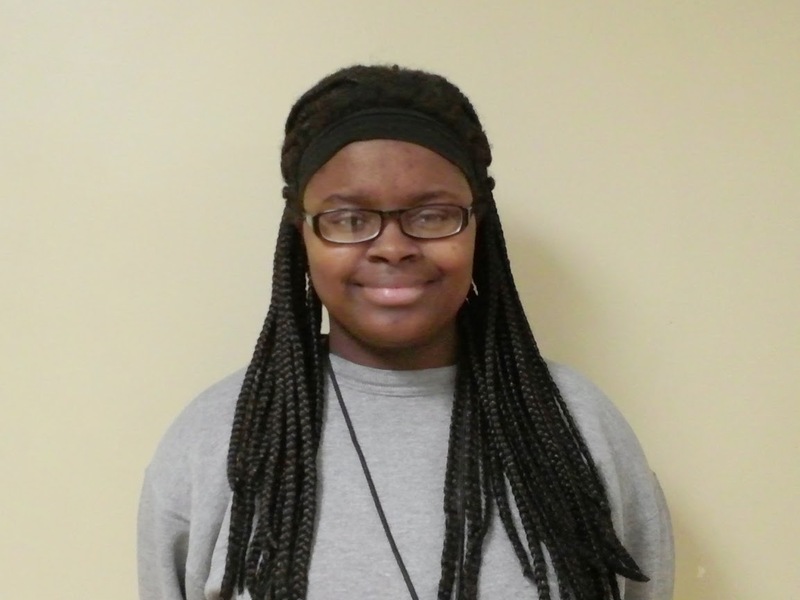 There was no doubt that Tasha Jackson would continuously excel in math. Having exceeded as the top student in all of her mathematical courses since elementary and middle school her comprehension far exceeded those offered to her during her academic years. Within one school year, Jackson completed two different segments of math, pushing her into higher levels beyond her age. It was the mathematics that drove Jackson to look into a majoring in Accounting. Having visited the University of Missouri, Jackson decided to apply for the college. Though her application, she received the Diversity Scholarship. This scholarship awarded her $14,000 per year up to five years. She must maintain a 2.5 GPA each year with 24 hours of classes. Jackson is one of many students involved in Saturday Academy which she attributes to her networking and college preparation. “Stick with the programs. You will have an advantage that other students won’t have at school. It’s a good way to keep up with your academics and it’s also a place for you to network and meet people from other schools,” says Jackson. Jackson will be graduating from JC Harmon this spring 2015. She’s an active member of Senior Board, and participates with the Cross Country Track Team of JC. Harmon. Scholarship Report - Brian "BJ" Cobbins Jr.
Sumner Academy Sabers’ football team is home to a team player that is as dedicated to football as he is to his aspirations of becoming an orthodontist. Brian “BJ” Cobbins Jr. is the Sabers’ running back and defensive back player. He has been playing Varsity for the team since his freshman year at Sumner. In his senior year, Cobbins has been offered two different sports scholarships, one from Waldorf College in Iowa, and the other from Benedictine College in Kansas. “Having my NCSAS profile, helped athletic recruiters find me. It highlights who I am and all my top plays in football. One day I got a call and here they were offering me a scholarship to play football for them." Although he hasn’t made up his mind yet on which university to attend, or which scholarships to accept, Cobbins is still thankful for his offers and opportunities. He is still waiting to hear back from other universities while working towards winning a few more scholarships. Cobbins' dream college is the University of Southern California (USC). “The weather is amazing there, and they have the top sports program. But if I don’t get that, my first pick is MIZZOU.” Academically, Cobbins was awarded the Amigo Scholarship for out-of-state tuition from the University of New Mexico. On January 9, 2015, Cobbins also received the Martin Luther King Scholarship award for $600, which he plans to use towards his college textbooks. For this football star, he couldn’t have done it without the support of his Academic Advisor Ms. Parra. "I’m in her office at least three times a week because I want to make sure I have the best chances of finding scholarships for college,” says Cobbins. When it comes to sports, Cobbins doesn’t just lean on his athletics for success, he also has a dream of owning his own private practice and becoming an orthodontist. “I like teeth. I’ve been able to work with dentists through Saturday Academy and it’s made me realize I really want to go into this field,” says Cobbins. Cobbins is looking forward to walking on to the football team of the university he will choose to attend. He plans to major in Business so that he can prepare himself for one day owning that private practice. Brian’s dream college is the University of Southern California (USC). “The weather is amazing there, and they have the top sports program. But if I don’t get that, my first pick is MIZZOU.” Academically, Brian was awarded the Amigo Scholarship for out-of-state tuition from the University of New Mexico. On January 9, 2015, Brian also received the Martin Luther King Scholarship award for $600, which he plans to use towards his college textbooks. For this football star, he couldn’t have done it without the support of his Academic Advisor Ms. Parra. "I’m in her office at least three times a week, because I want to make sure I have the best chances of finding scholarships for college,” says Brian. When it comes to sports, Brian doesn’t just lean on his athletics for success, he also has a dream for owning his own private practice and becoming an orthodontist. “I like teeth. I’ve been able to work with dentists through Saturday Academy and it’s made me realize, I really want to go into this field,” says Brian. Brian is looking forward to walking-on onto the football team of the university he will choose to attend, and plans to major in Business so that he can prepare himself for one day owning that private practice. Saturday Academy, Senior Mentor, Melanie Leyva received a full scholarship to New York University for the fall of 2015. Congratulations! (Picture not available).